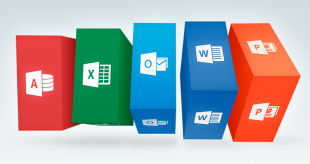 Ready to Master Microsoft Office? Start Here! No matter which version of the Microsoft Office suite of programs you’re using, we have courses to get you started or help you take your Office skills to the next level. Company just upgraded to a new version? No problem! Many of our courses are a brief overview just to show you what’s changed. No matter whether you need training on Excel, PowerPoint, Word, Outlook, Access, Project, or Publisher, OpenSesame’s courses have you covered. Are you ready to master the Microsoft Office suite of programs? This extensive course covers everything from basic to advanced topics (pivot tables, anyone?) in Excel, Access, PowerPoint, Outlook, Word, and Project. Don’t miss out on this engaging course that will get you up-to-speed on all Microsoft Office applications! This quick and easy-to-digest course provides the basics of Excel including using and customizing the ribbon and Quick Access toolbar, utilizing the Backstage view, and managing workbooks. This is the perfect place to start for beginners or those looking to brush up on their skills. Upgrading to Word 2013? Make sure you don’t miss out on any new features with this overview of what’s changed from old versions. In six modules, the course covers topics including using the status bar, alignment guides, and improvements in tracking and collaboration.